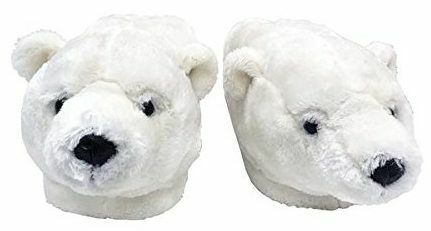 If you are looking for some fun and warm slippers to relax in, which have a very cute winter theme, you may be interested in having a look at these cute and cozy Polar Bear Slippers for Adults and Kids reviews. 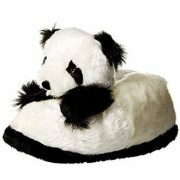 These Happy Feet Polar Bear Slippers are available in various sizes for boys, girls, men and women. 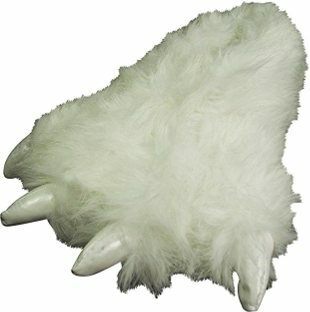 They are soft inside and feature an adorable polar bear head in polyester faux fur and a 1 inch foam no skid bottom. 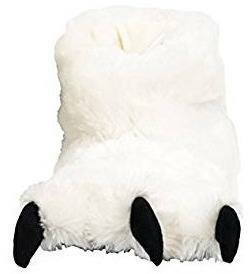 Customer reviews are very positive with most users finding this polar bear footwear to be cute, fun, comfortable, soft and warm. It is also well made and nicely padded. 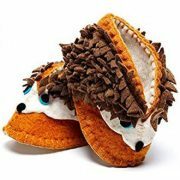 These Wishpets claw slippers come in polar bear paws as well as your choice of several other paws. 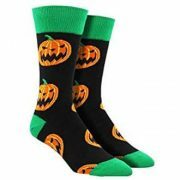 They come in kids’ sizes 1 through 7, Women’s sizes 4 through 7.5 and Men’s sizes 6 through 9. They are made from white polyester fur and have toenail details. They are hand washable as well. Product reviews are very good with the vast majority of people saying that they are cute, cozy, comfortable and fun. They have nice padding and are warm, but made for indoor use only. 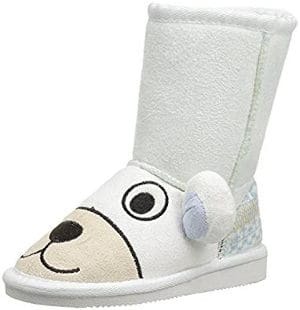 They feature a cute polar bear with a scarf and stars on the toes of the slipper and are made from cotton upper and rubber soles. They are easy to slip on and have an anti-slip sole. They can also be machine washed in cold water. 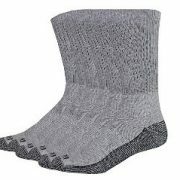 Users review that they easily stay on the feet and feel cute, comfortable, and soft inside with good cushioning. 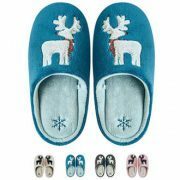 These Dosoni winter slippers come in various designs including polar bear slippers and Christmas slippers. They are available in small/medium or medium/Large. 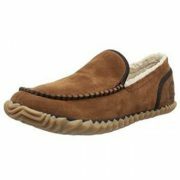 They are slip ons with anti-skid rubber soles and feature a soft inner lining. 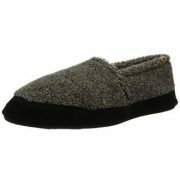 Users find that these fuzzy slippers fit well and are cute, warm and comfortable. They are also super soft on the feet. 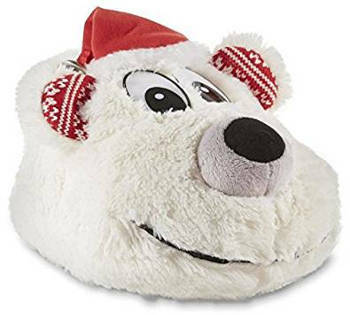 These Joe Boxer Polar Bear Slippers come in sizes 5-12 and feature a cute Polar bear face with a red Santa cap. 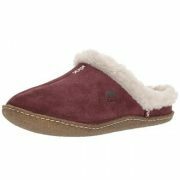 They are above the ankle slip on style with a padded collar and a faux fur upper. 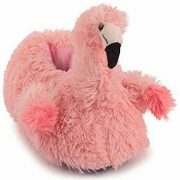 The bear has plastic eyes and a fully cushioned foot bed with a rounded toe as well as comfortable fleece lining and a textured fabric sole. 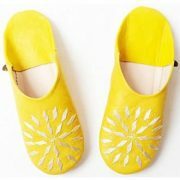 Users like these cute slippers because they are soft, warm and comfortable. 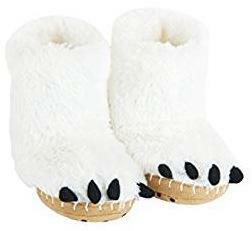 These Bear Paw Slippers for kids come in a medium white color and are made from Polyester faux fur. They are bear paws with black claws and fit over the ankle. They are as soft on the inside as they are on the outside. 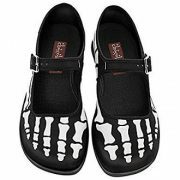 Users say that this fun footwear fits well and feels warm on both the feet and the ankle. 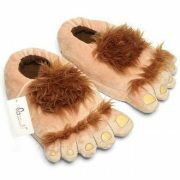 It stays on the feet well and is fun for your child to wear. These Muk Luks white polar bear pull-on boots are available in toddler sizes 1 through 4 and little kids 4 through 8. They feature a white synthetic upper with a polar bear face and a rubber sole with a boot opening of 9 inches. They can also be hand washed. Customer reviews are few, but the ones that are available are very good. Users’ parents find that these boots fit well and are extremely cute and comfortable for their children. 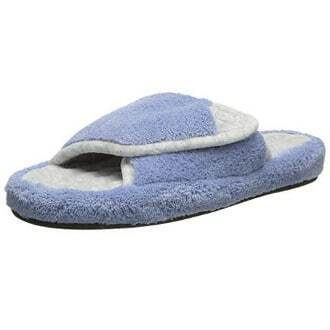 Hatley Little Blue House Slouch Slippers come in various animals including cute polar bear claws and are available in small, medium and large. 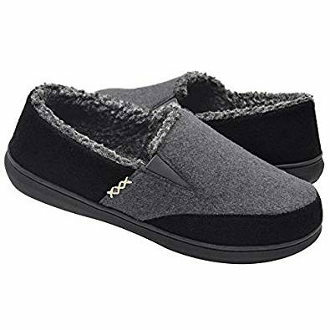 These ankle high slippers are made of 100% polyester with a polyester lining and feature a white polar bear paw with black claws. Users’ reviews for this kids’ footwear are fair with more than ½ the users finding it to be comfortable, cute, durable, soft and a lot of fun for their kids. They are synthetic with padded grip soles featuring rubberized dots on the bottom and faux fur on the upper. There is a variety of different animal claws including polar bear claws. 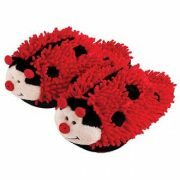 Users review that this fun furry paw slipper is cute with soft fur as well as comfortable and warm. It does not shed overly much either. 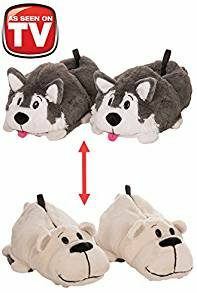 These FlipaZoo Husky to Polar Bear Slippers is like having two pairs of slippers in one since they transform easily from a husky to a polar bear. They come in sizes small, medium and large. 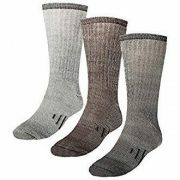 In addition, they can be washed in cold and tumbled dry on low heat. 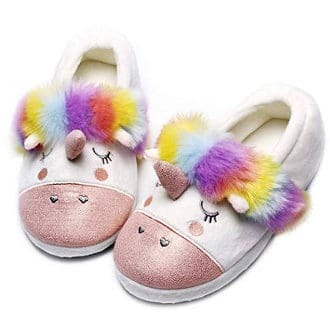 Reviews for these reversible slippers are very good with users finding them to be cute, comfortable and warm. Also, children love that they can be reversed from one animal to another and find them to be fun. 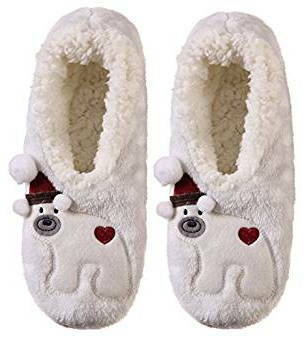 All in all, the cute polar bears slippers for men, women, toddlers and kids in this review make a fun and warm winter solution for your feet and a great gift for others.